People will spend hundreds of dollars for the satisfaction and contentment of a fully-personalized massage. Why not give your customers or patrons the convenient relief they seek for a fraction of the cost? The IT-6900 Vending Massage Chair is a dynamic money-making machine, allowing you to control the pricing anywhere from $1 to $5 per massage. The rich synthetic leather provides the perfect combination of luxury and durability to ensure the longevity of your massage chair. 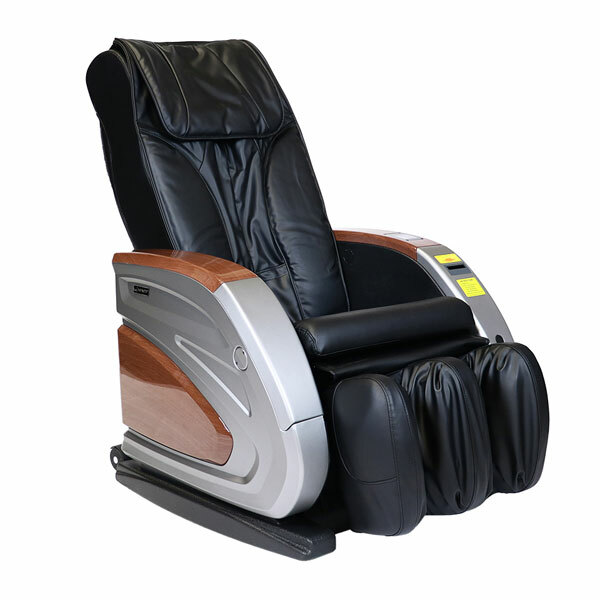 This full-featured commercial massage chair provides time-tested massage techniques including shiatsu, kneading and synchronized motions for an all-inclusive massage experience. Each leg compartment features durable airbags that knead, compress and release to promote circulation, enhance vitality and rejuvenate the calves, ankles and feet. As a dollar operated massage chair, this Infinity chair is easier to manage than traditional coin operated massage chairs. Easy to use with a digital readout, a bill validator, and a sturdy, visually appealing exterior, the IT-6900 Vending Massage Chair promises the relief and comfort your patrons seek. 18 Month 0% Financing Available! Call 603-910-5000 to speak with a massage chair expert today! We'll be happy to walk you through all your options and find the best solution for your business.